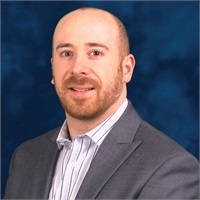 Jason joined Main Street Financial Group (MSFG) in 2008 after graduating from Syracuse University with a Bachelor's of Science in Economics with a concentration in Mathematics. Jason grew up in Kings Park where he made a strong connection to his community but in 2009 fulfilled a lifelong dream of living in Manhattan and has lived in the city ever since. He met his wife Helaina there, and has forged a new network of friends, clients, and business relationships in NYC. Jason works with Main Street clients every day to help them achieve their financial goals. MSFG is constantly improving and expanding in ways to better serve their clients, and Jason is at the forefront of researching new investment options, technology improvements and ensuring the team is better positioned to serve the needs of each client. From Baby Boomers to Gen. X and of course his own generation, the Millennials, Jason and the entire team at MSFG find personalized strategies to help each client along their journey to financial well-being and prosperity. Jason is a Registered Representative with Kestra Investment Services, LLC and an Investment Advisor Representative with Kestra Advisory Services, LLC. In 2017, Jason and Helaina became proud parents with the birth of their first child.